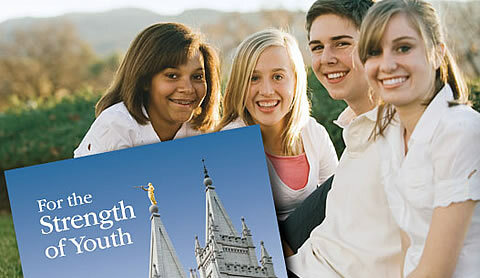 The church has a very intensive effort to help the youth of the church. The goal of the youth program is to build up young men and women with character. Hillary Clinton popularized the phrase “it takes a village” in reference to the importance of having a strong community and extended support system to help parents raise children. Among the politically conservative LDS, many are not comfortable getting cozy with Clinton, but we recognize the truth in that principle. We are blessed in the church to have the youth program where our children have many good adult role models to teach by word and example. We try our best as parents, but kids almost always go through phases where they don’t respond well to parents and are easily reached by other adult leaders. One of the things I love most about the youth program is the way the youth are called as leaders. There are quorum and class presidencies. The youth lead meetings, stand in front of audiences to give talks and lessons and reports on activities. They plan with leaders and other youth. If implemented properly by adult leaders, this can really give kids an advantage as they grow up and are put into roles of responsibility in non-church settings. I am grateful as a parent in the help that I get raising my children from the church’s youth program. The Young Women’s theme is a good illustration of the church is trying to accomplish with this program.